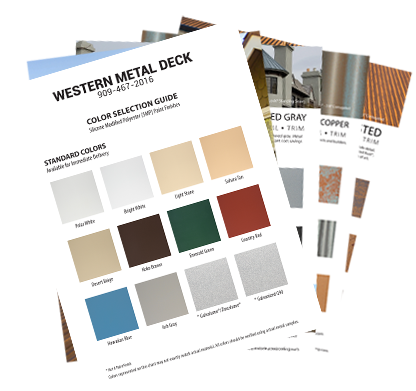 ©2013 - 2019 Western Metal Deck, all rights reserved. ReziBond® is a registered trademark of Steelscape, LLC. Vintage® is a registered trademark of Steelscape, LLC. ZINCALUME® is a registered trademark of BlueScope Steel, Ltd.
Galvalume® is a registered trademark of BIEC International Inc.